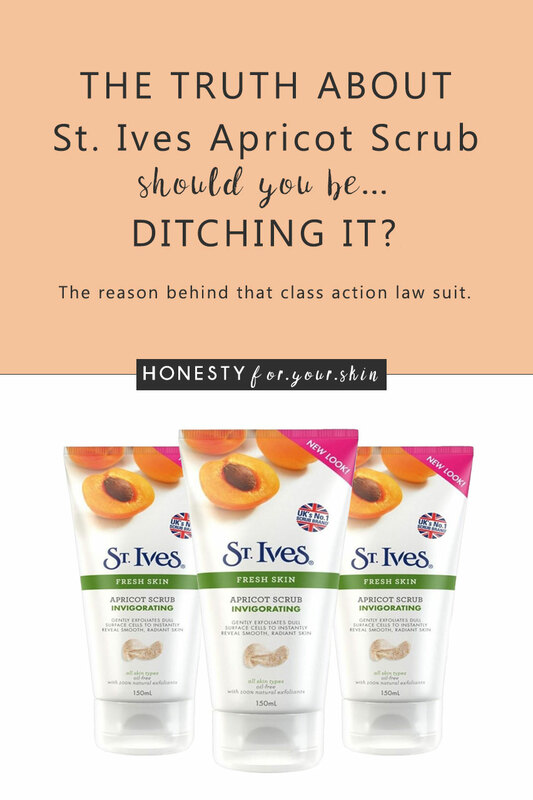 There’s not many skincare products that are the subject of a 5 million dollar class action law suit – St Ives Apricot Scrub is. 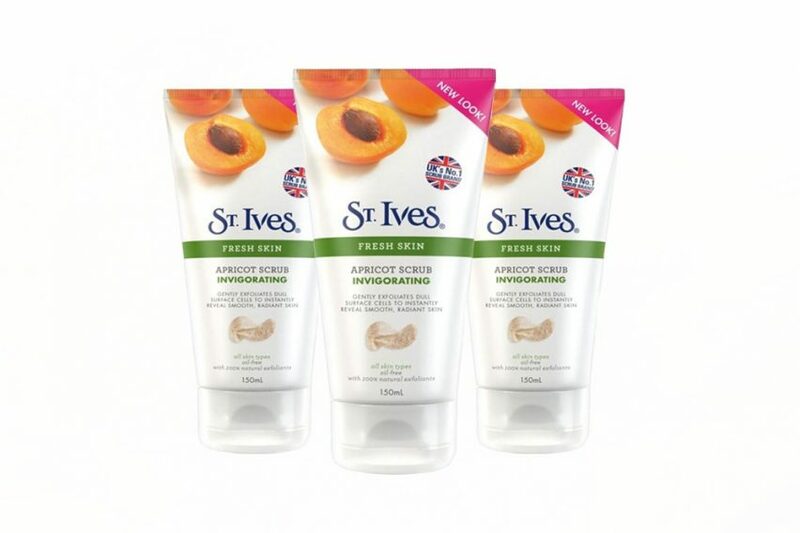 St Ives Apricot Scrub… it’s, shall we say… a ‘wee’ bit controversial. It’s a Unilever brand, it has heritage and it’s getting significant face time in the media. Understanding what makes a new chocolate dessert so darn yummy to you is all about the ingredients. Did they use 70% dark chocolate or was it milk? How about flavouring? Is there a shot of vanilla extract in there? What about its baking time? How long does it take to reach the sweet spot giving you firm on the outside and molten chocolatey sauce on the inside? If you have answers for me – help a fellow chocaholic out ‘eh. When it comes to understanding whether new skincare products are skin sinners or skin winners, the answer lies almost completely in the ingredients list on the back label. While that tiny text can seem confusingly scary… I’m here to make this step extremely easy. Aqua (Water), Juglans Regia (Walnut) Shell Powder, Glyceryl Stearate, Propylene Glycol, Sodium Lauryl Sulfate, Zea Mays (Corn) Kernel Meal, Cetearyl Alcohol, Cetyl Alcohol, Linoleamide Dea, Lanolin Oil, PEG-100 Stearate, Prunus Armeniaca (Apricot) Kernel Oil, Chamomilla Recutita (Matricaria) Flower Extract, Helianthus Annuus (Sunflower) Extract, Primula Veris Extract, Sambucus Nigra Flower Extract, Sorbitol, Ceteareth-20, Carbomer, Methylparaben, Polysorbate 60, Triethanolamine Ethylparaben, Propylparaben, Phenoxyethanol, Methylchloroisothiazolinone, Methylisothiazolinone, Citronellol, Butylphenyl Methylpropional, Parfum (Fragrance), CI 77891 (Titanium Dioxide). There’s one quick need to know. Skincare ingredients lists work almost exactly like pre-packaged food ingredients lists do. All these ingredients are in order of concentration until they reach the 1% amount after which they can be in any order. That’s very helpful when looking at specific ingredients as you can tell how much of an effect they have on the overall ‘personality’ of the formula. Think of it like mixing paint. Cleansing – you might hear Sodium Lauryl Sulfate called SLS for short. Preserving – these 2 stop St Ives Apricot Scrub from catching the lurgy. The most controversial ingredient takes place number 1 – walnut shell powder. That means, other than water, there’s second most of this ingredient. With my formulators eye I can tell you they’ll be anywhere from 1-5% of this stuff. Now, you might describe walnuts as the softies of the nut world. Place a few in your hand and a soft squeeze will break then into small flakes. Try doing that with a brazil nut ‘eh. The consequence of walnuts being such softies is that they need a firm outer shell to protect them. This is the part of the walnut used in St Ives Apricot Scrub. Here it’s ground up into a fine powder, a little like sandpaper shards – thinking that doesn’t sound so great for your skin? Well, dear friend, you hit the nail on the head. Kudos. Walnut shell powder, may indeed cause more damage than it solves. See, exfoliation is great at removing dead skin cells, but it’s a fine line between that fresh faced look and irritation. While other natural exfoliants like almond seed meal are made from the nutty part and can lend a soft to mild exfoliating hand, others like walnut shell powder power up to moderate. That’s not where the controversy stops. Oh no, walnut shell powder, got a taste of fame and it wanted more. Like sandpaper the walnut shell powder found in St Ives Apricot Scrub is not perfectly spherical. That means if you put it under the microscope a tiny fleck of walnut shell powder would look more like a spiky horse chestnut than a smooth-outer ping pong ball. Can you imagine what that might do to your skin? Dermatologists suspect exfoliating actives like walnut shell powder to be the culprit of micro-tears. That’s small invisible cuts that cause irritation and inflammation to skin. The bottom line, it’s stress your skin doesn’t need on a daily basis. As well as exfoliating the St Ives Apricot Scrub will also help to cleanse your skin, that’s thanks to the addition of cleansing ingredients like Sodium Lauryl Sulfate (SLS). SLS is a very strong cleanser. It’s so good at cleansing, it can often take away your skins own natural oils, replacing them by nestling itself into the surface layers of your skin. All of this bed swapping provokes significant skin irritation. SLS is used in dermatological tests to purposefully irritate skin so the effect of skin soothing ingredients can be tested. There’s also internet rumours that St Ives Apricot Scrub can worsen acne. Combining the irritancy of SLS with the irritancy of sandpaper like walnut shells may be the answer. See, acne is an inflammatory condition and any skincare products promoting more inflammation will cause acne outbreaks to worsen. Inflammation + inflammation = much, much more inflammation. The last controversial ingredients on our list are Methylchloroisothiazolinone & Methylisothiazolinone. These 2 ‘dudes’ are preservatives. They stop your St Ives Apricot Scrub from growing furry stuff. Methylchloroisothiazolinone (MCI) is almost always found with its side-kick Methylisothiazolinone (MI). They’re another couple of ingredients needing help on the PR front. MI was rated in 2013 by the American Contact Dermatitis Society as Allergen of the Year. In other words, it’s not the most sensitive skin friendly. In fact, studies estimate around 2% of the population now show an allergic reaction to this preservative. The possibility of walnut shell induced micro tears means Methylchloroisothiazolinone & Methylisothiazolinone may penetrate your skin more deeply than when used in a normal cleanser. If you have sensitive skin conditions like acne, rosacea or eczema you’d be best off avoiding St Ives Apricot Scrub. Will St Ives Apricot Scrub Harm Your Skin? The poison is in the dose ‘eh… and with exfoliating products like St Ives Apricot Scrub, most of the dose is coming from your strength of scrubbing. If you have a normal, un-sensitive skin type, you’ll probably be A-OK using St Ives Apricot Scrub so long as you only use it a couple of times per week and you make sure to be sensitive with your scrubbing hand. For anyone having a dry skin type… or a skin type that’s working to overcome conditions like acne, rosacea, eczema, psoriasis, or even just a darn reactive sensitive skin type – it’d be best to avoid St Ives Apricot Scrub. Liz Earle Gentle Face Exfoliator, £15.75/70ml. This pick uses perfectly spherical jojoba wax beads to provide a gentle (read non-mirco tearing) exfoliation. Trilogy Gentle Facial Exfoliant, £22.50/75ml. Another soft exfoliator using those perfectly spherical jojoba wax beads. Bee Good – Honey & Camelina Facial Exfoliator, £10.50/50ml. This one uses milled lavender flowers. 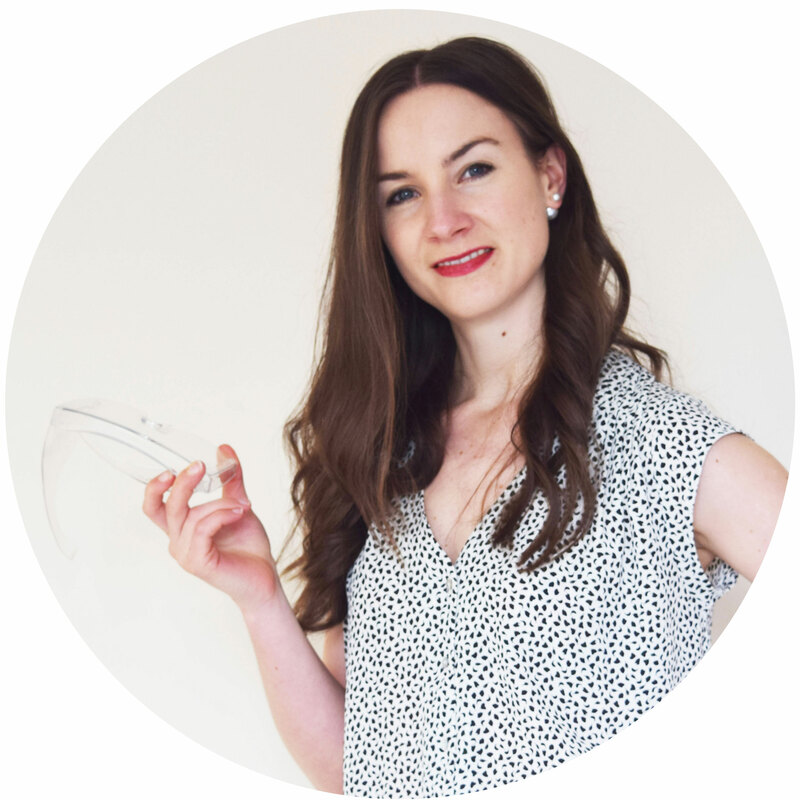 …and for anyone who has very sensitive skin and wants to avoid all fragrance and essentials oils – I have your back. In this instance I’d recommend pairing a fragrance free cream cleanser with a muslin cloth. Apply the cleanser and gently buff or rub away with the muslin cloth. It’s easy to overlook but just a soft rubbing action will give you a great mini exfoliation. First Aid Beauty Face Cleanser, £15/141g, paired with WithNature Skincare Pure & Gentle Muslin Face Cloths, £6.95 for 6. If you have sensitive skin or an inflammatory skin condition – avoid St Ives Apricot Scrub. 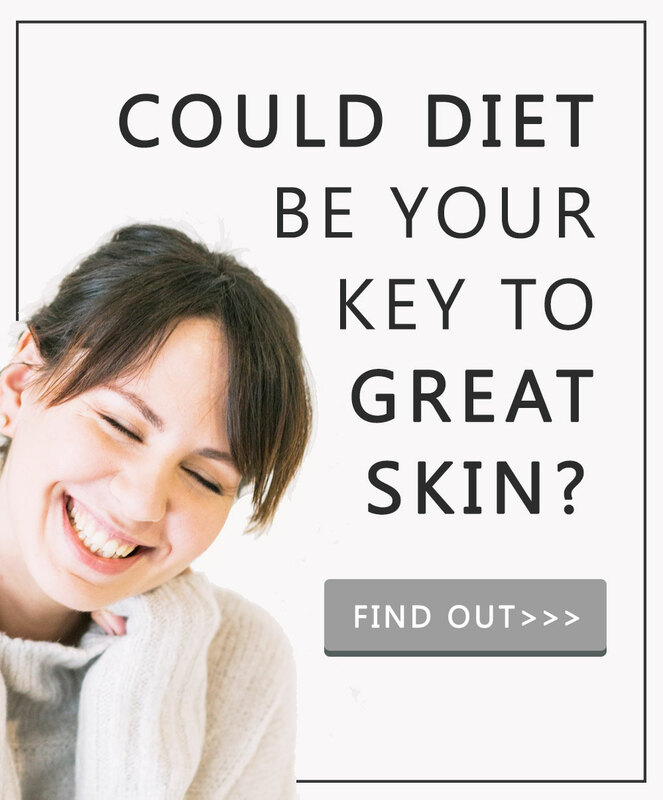 If you have a normal skin type, you’ll probably be just fine using it, although you might want to consider how much benefit it’s really offering your skin. It’s pretty on the purse, but you may just find investing a few extra pounds into a cream based exfoliator has a noticeably more nourishing effect on your skin.